EAST AURORA, N.Y.--(BUSINESS WIRE)-- Astronics Corporation (Nasdaq:ATRO), a leading provider of advanced technologies for the global aerospace, defense and semiconductor industries, announced that its wholly owned subsidiary, Astronics AeroSat, had its FliteStream® connectivity solutions tested, qualified, and approved to operate across Intelsat’s FlexExec business aviation service. FlexExec is a managed end-to-end service that is accessible via Intelsat’s global, high-performing, multi-layered Ku-band satellite fleet. 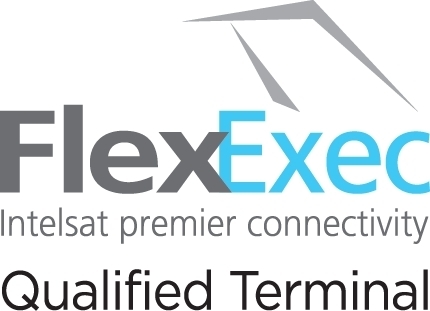 Specifically designed to cover high-traffic business jet routes, FlexExec integrates layers of high-throughput satellite (HTS) coverage from the company’s proven Intelsat EpicNG fleet with the company’s wide-beam Ku-band satellites to deliver added resiliency and redundancy. Astronics AeroSat's FliteStream solutions include its patented lens-horn technology, which creates the most efficient, reliable and highest-performing SATCOM antenna systems available. Astronics AeroSat keeps people connected no matter where they fly. For over twenty years, Astronics AeroSat has provided fuselage- and tail-mounted SATCOM solutions for general aviation, business aviation, commercial transport, VVIP, and military aircraft around the world. Learn more at Astronics.com.